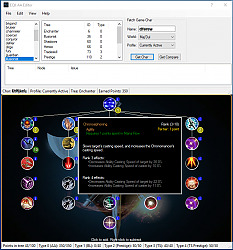 This is a standalone utility to edit Alternate Advancements. 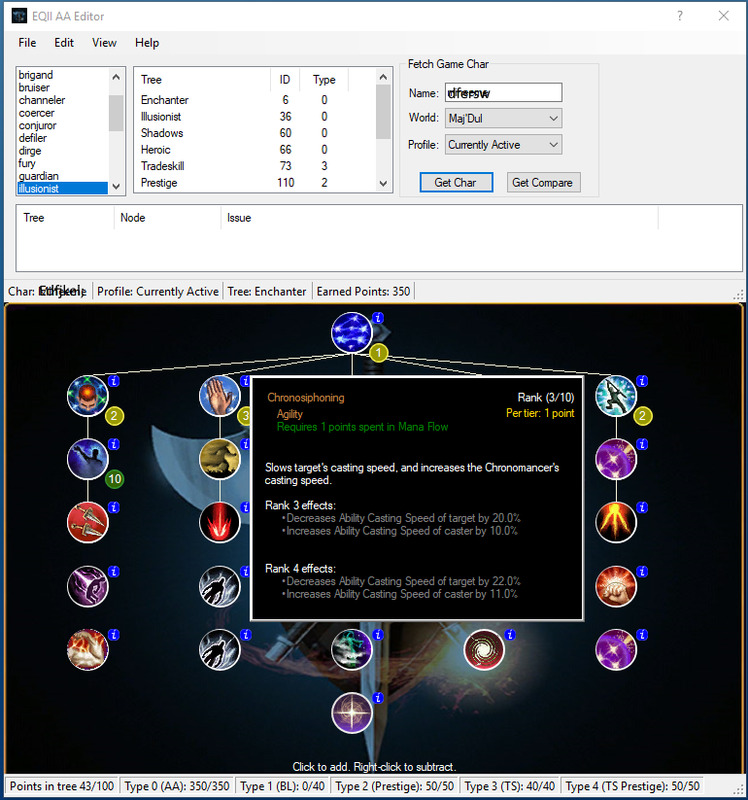 The 0.9 beta release updates the utility to work with the AA system for the Planes of Prophecy expansion. 1. There is no need to "rollback" or hunt through a list to make a change. Just click the spell icon. The utility does not prevent an edit that violates a rule. It will list the rule violation(s) so the user can make corrections (ref. 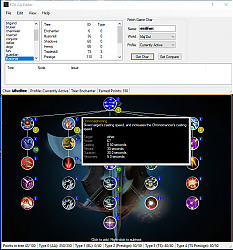 the screenshot "Example broken rule error" with the error description and the red rank circle). A file with violations cannot be saved. 2. The utility can compare two AA profiles. They may be profiles of two different characters (of the same class), or two different profiles from the same character. This allows easy visualization of the differences in the AA profiles (ref. the screenshot "Compare AA of 2 players" with rank circles to the left and right of the spell icons). 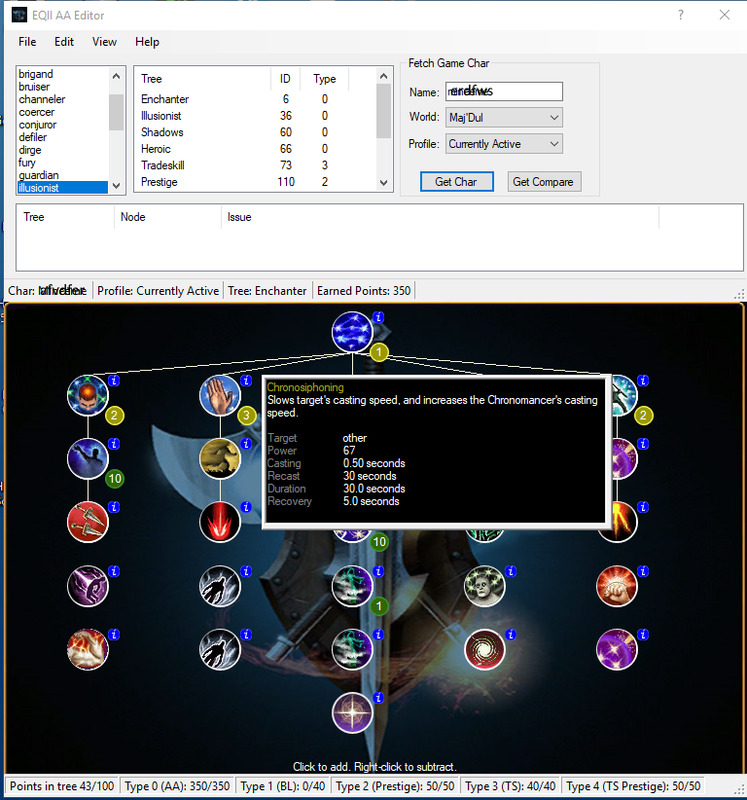 The utility gets most of its data from the EQII census, including rules and player AA profiles. It can also read .aa files written by EQII via its "Save.." menu on the EQII AA screen. The utility writes .aa files that are readable in EQII via the "Load..." menu on the EQII AA screen. There is a short help screen available from the "Help" menu and quick help on the various buttons, boxes, and lists available from the ? in the upper right corner. There is no installation required. 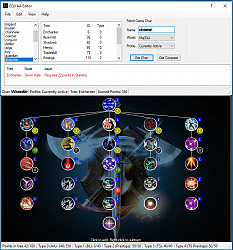 Simply unzip the downloaded file and run the Eq2AAedit.exe. The icon area does resize, though it gets crowded if you make it smaller since the icons themselves are a fixed size. You tried just dragging the edges? Or you're saying that once it was smaller it was too hard to use? I need to make the window larger, not smaller - due to vision issues, I have my monitors enlarged to 125% and 150%. Being able to compare two characters or two builds is genius, though!